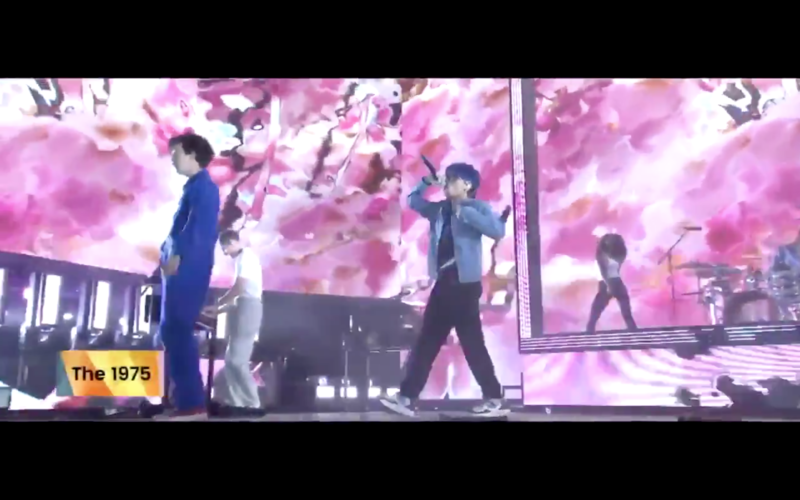 No Rome joins The 1975 on the Coachella stage for "Narcissist"
And just like that, No Rome just made his debut on the Coachella stage, all thanks to his good friend Matt Healy of The 1975. Right in the middle of their set, Matty took the opportunity to call on No Rome to perform his song "Narcissist," from his RIP Indo Hisashi EP. We found a fan video on Twitter, and we were not disappointed! You can clearly see the smile No Rome makes when he realizes the whole situation, and continued to kill it, anyway. Fans were quick to express how proud they are of Rome following his set. blueboy on coachella no rome worldwide!!!!!! Rome is currently on tour with The 1975 to promote their latest album, "A Brief Inquiry into Online Relationships," and they're set to play a show in Manila this September 11tH. Congratulations on your Coachella dabut, Rome! How did he do on his Coachella performance? Share your thoughts in the comments section! BTS' collab with Halzey has already broken records!